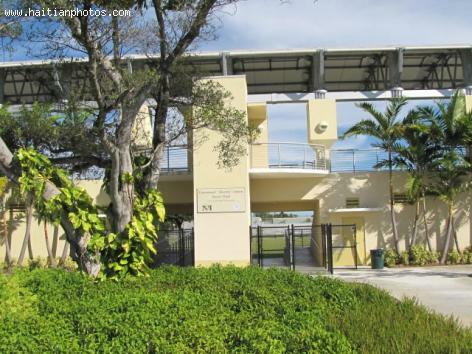 Here is a picture of the Emmanuel Sanon Soccer Park located in Little Haiti in Miami Florida. This Soccer Pasrk was created by the late Miami Commissioner Arthur E. Teele before his death. Commissioner Teele wanted to establish a recreational area in Little Haiti for children to play. He also understood the importance that soccer plays in the lives of Haitians. The Emmanuel Sanon Soccer Park in Little Haiti offers an open spaces for the youth in the community to exercise and play their favorite sport. The Senator of South Florida, Marco Rubio, conducting his first visit to the island of Haiti. His main purpose is to have a better understanding of the ongoing problem of Restavec and Human trafficking that that has been going on in Haiti for generations. Visiting with his wife Jeannette, Senator Marco Rubio took the opportunity while in Haiti to visit the Institute for Human and Community Development which is a school for restavecs or children in Haiti who have been working as domestic with more prominent families in Haiti. The parents of these children often willingly offer their children to work with other families in Haiti because they usually can not afford to raise them economically. 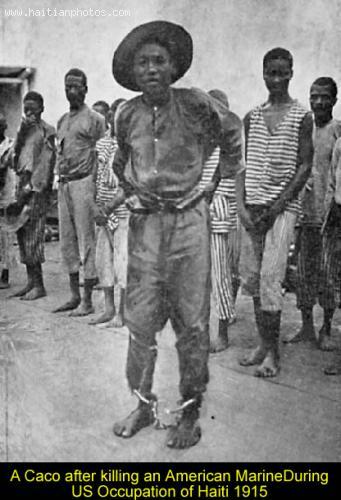 You are looking at a Caco or a Haitian nationalist fighting against the 1915 US Occupation of Haiti. 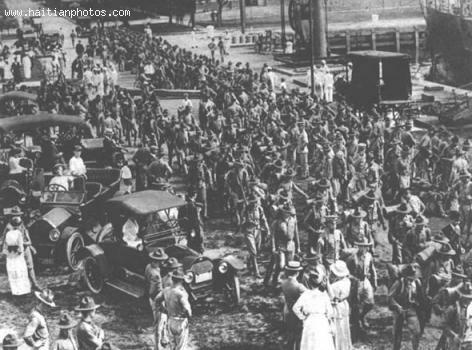 When American forces began occupying Haiti in 1915, the island was in political and economic distress. America feared a German takeover of susceptible Haiti, and took control of the country's infrastructure, even writing its Constitution. Haitians soon grew to hate the Occupation. They felt used, betrayed, and deprived of their autonomy. Lonely when America's Great Depression occurred did they pull out in 1934 under pressure from American citizens, who disapproved of the U.S. spending too much money in Haiti. A new initiative to improve Haiti Police and Judiciary. 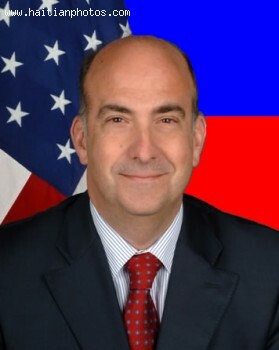 According to US Ambassador Kenneth Merten, the US will fund the construction of a police station in Cité Soleil, a prison for women, the expansion of national penitentiary and the renovation of several other institutions across the country. The Ambassador reiterated the commitment of the United States, to bring its contribute to the Police Nationale d'Haiti (PNH), and the judiciary. "We know that the security is essential to the stability that it is necessary to regain, if you want to reach the prosperity and the development of the country"
Sen. Chuck Grassley has many question about the hurricane fund given to American Red Cross and wants some answers soon. U.S. 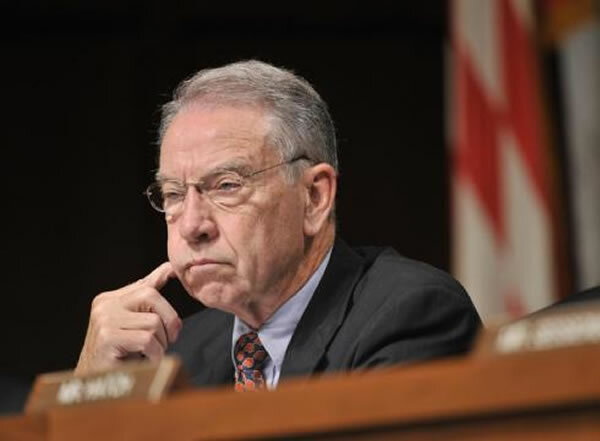 Senator Chuck Grassley wants answers from the Red Cross. He's giving them a week to come up with information regarding programs it operated, their cost, how much money was given to project partners, and how much actually ended up helping those in need. The Red Cross has thrown up obstacles to agencies like the Center for Economic and Policy Research, who wants to know how the aid organization has spent many millions of dollars, with little to show for it. 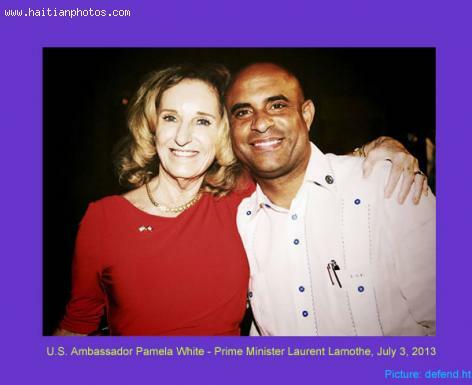 Prime Minister Laurent Lamothe participated in the US Independence day celebration at the residence of Pamela White - the US Ambassador to Haitian capital Port-au-Prince. In a speech during the celebration, Laurent Lamothe stated that it was his pleasure to participate in the event and that his presence during the event was the testimony of the fact that Haiti has an excellent relationship with United States. Stephanie Villedrouin, the Minister of Tourism was also present. 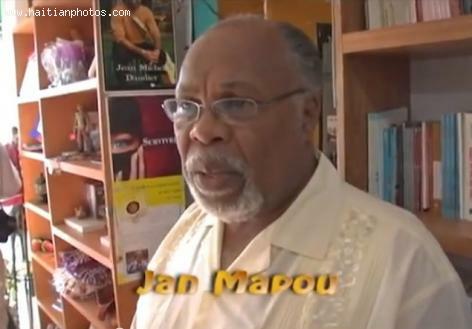 Here is a picture of Jean Mapou. He is the owner of Libreri Mapou in Little Haiti, Miami. The Book Stores is located at: 5919 NE 2nd Avenue, Miami, FL 33137, United States. Libreri Mapou sells Creole & French Book Dealers-Retail in 5919 NE 2nd Ave, Miami, Florida 33137. 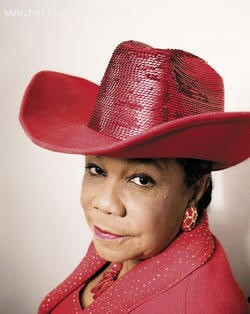 Here is a picture of the mayor of North Miami in the United States. 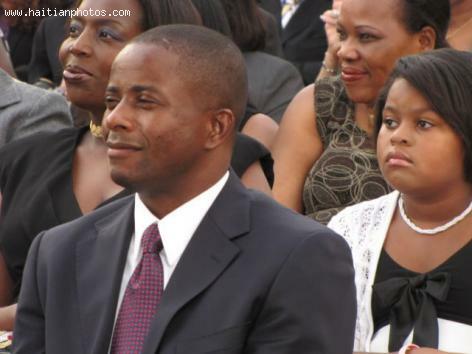 Andre Pierre who was born in Arcahaie, Haiti became the second Haitian American to be elected in the city of North Miami. Some history about North Miami. Following thee final phase of Indian inhabitation of the area, United States Army soldiers in 1856 cut a Military Trail near rivers connecting Fort Lauderdale to Fort Dallas at the mouth of the Miami River. North Miami, between 1926 and 1931, was named "Town of Miami Shores", one reason for that was because its early eastern boundary was the Atlantic Ocean. The 1915 U.S. Occupation of Haiti started when militias, known as cacos, staged turf wars to seize power on the island. German immigrants had funded the cacos and now urged Germany to come and establish peace. Germany threatened U.S. interests. In the summer of 1915, U.S. Occupation forces arrived and stayed until 1934. U.S. improved Haiti's infrastructure, but Haitians resented the Occupation. Finally the Great Depression forced U.S. citizens to demand its government leave to save money.